1 pr. 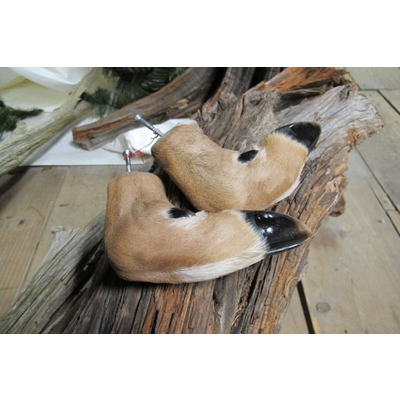 Whitetail deer feet, freeze dried and ready to put on your panel. Glossed hooves, screws included.